The other day I ordered something shipped via FedEx 2 days shipping. Here is how they shipped my package. 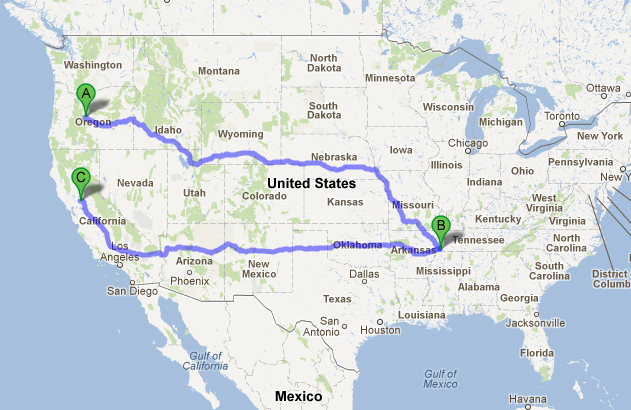 If you map that, you can see that my package took a round trip around the US. I have a hard time believing that this is the most efficient route for the package.